I went on this forum last December to inquire about what I was getting myself into if I purchased a 356 Replica. Thanks to your collective support I now own a 2013 Vintage 356 to keep my 1991 964 911 company. I've been lucky enough to own a few sports cars in my life (Ferrari 308, BMW Z8, Multiple 911s) but have never driven/owned anything that received this much attention. I'm in the L.A. area and my experience so far is when people ask what year it is - they don't hear the word "replica" or don't seem to care. Regardless I'm having a blast and a big bonus is my wife loves driving it-not scared of it like she is the 911-good stuff. 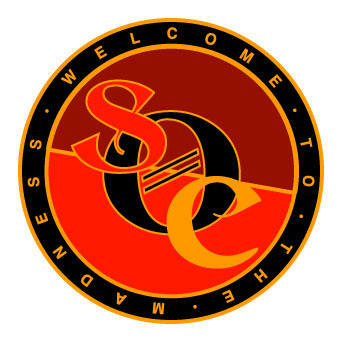 I would like to add a couple of badges form the SOC-I like supporting an all inclusive club and quite frankly the couple I have seen look friggin awesome. If anyone has a spare of any of the club badges (new or used) I would be very happy to purchase them and display them with pride. I tried searching the likely places and they obviously are not easily available. Thanks to all for the past help and let me know if you have a lead on any Grill Badges from the club. 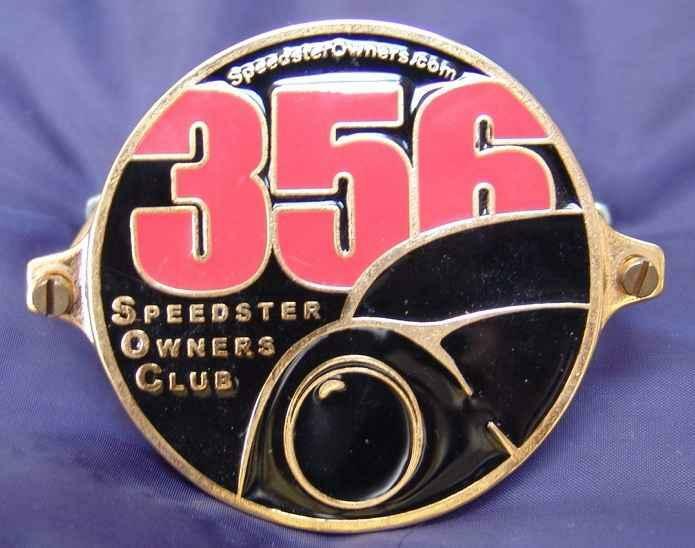 Mark, 'Welcome To The Madness' known as replica Speedster ownership! Looks like you car is in good company in your garage. 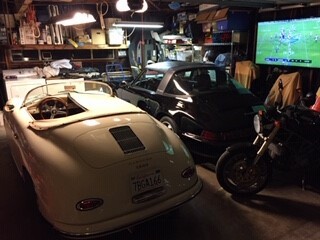 I'm guessing that the 1st night you parked your Speedster in the garage, you probably spent a few hours out there just staring at it. Hope you & wife would be able to join the rest of our knucklehead SOC group for the West Coast SOC Cruise in San Luis Obispo (SLO). Its an annual event usually held in June. You may have already seen the event video I've posted, if not, I hope you & your wife will watch it and be inspired to join us. The SOC contingent from SoCal & Arizona usually rendezvous (Friday) in Malibu and caravan up the coast & 101 to SLO. Hope to meet up with you at one of our local cruises. They are hard to come by. The last red/orange Ying/Yang one had a production like 100 with a few others done in bare gold brass color. 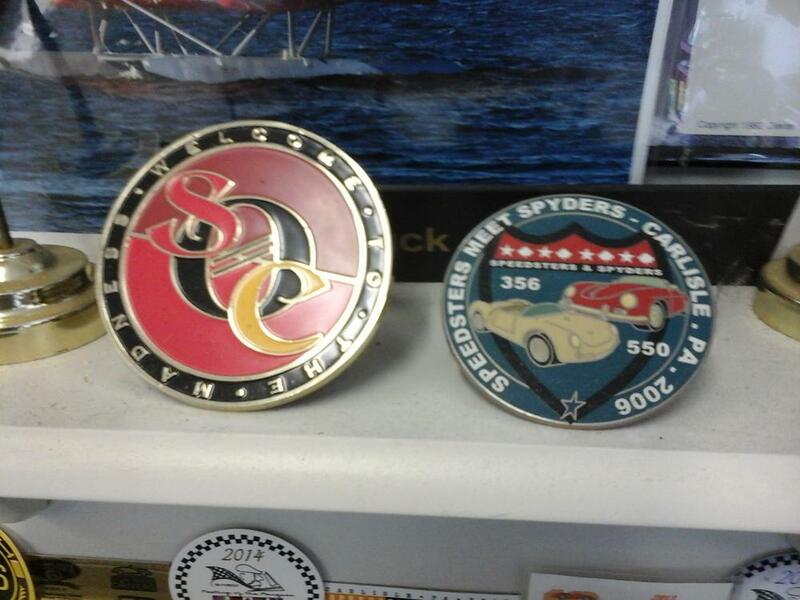 I think there were like 2 other SOC badges done over the years. Think the Live Fast was first - so impossible to find one. Thanks so much for the welcome. The SLO cruise sounds great I'm sure my wife will agree. I absolutely spent a few evenings looking at the car-still do on occasion! Seems like a super group of people. Thanks again! I figured as much but nothing ventured as they say . Thanks for the info. Nice. What part of LA Mark? Love the older targas had a 71’ targa needless to say wish I still had it. won’t be joining the ranks until sometime end of next month. PM me have one left, the 2006 edition as shown above on the right, in Wolfgang's post. Yeah, the 2006 Carlisle Speedster/Spyder badge was a very limited run. Only 52 were made and never repeated. Welcome to the SOC/PCCA. You might be able to talk somebody out of a PCCA window sticker as well. 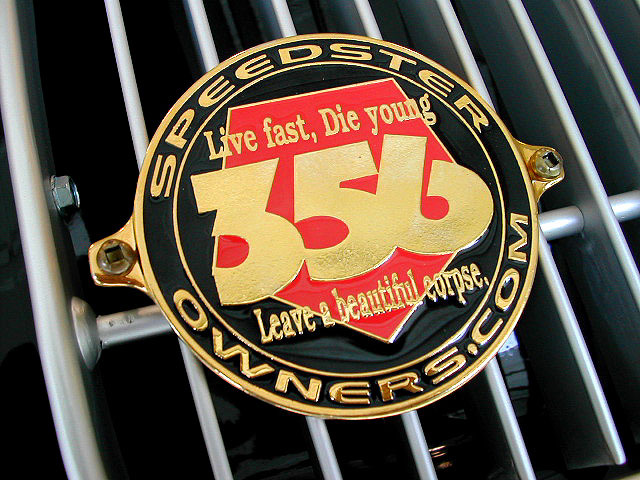 Somehow, somebody comes up with a new grille badge about every five years and we all have to have it. You might check with Rick Drewek to see if he has any......I think he is in Thailand at the moment so he may be a bit difficult to reach immediately. Well, it’s not a badge, but you can always make a vinyl windshield static cling decal for ~4$. this is the only artwork I have in my files... but it’s probably not good enough for a 2.5” or 3” circular decal, printed at 300dpi. - clear background. ( to avoid am 1/8” white border around the decal). Here is a picture of an older SOc badge. If I had the artwork I would definitely order a couple of the static cling stickers of this one.